Wallwisher, the pioneering “corkboard” Web 2.0 tool that lets you create virtual bulletin boards, has recently updated its site and it seems to work very well (thanks to Angela Cunningham for the tip). As many of us had noticed, it had become quite buggy over the past year. I, like others, explored other similar tools (see The Best Online Virtual “Corkboards” (or “Bulletin Boards”). Now, with its problems worked-out, I’m adding it to The Best Beginner, Intermediate & Advanced English Language Learner Sites. Reposted from Wallwisher Updates Its Site. So what do you think about adding a Wallwisher or another virtual corkboard right here, either just under the tabs or on a separate page? We need more networks... got one? Join ours and share it with us. Mini-Lesson on the grammar rules surrounding subject-verb agreement. 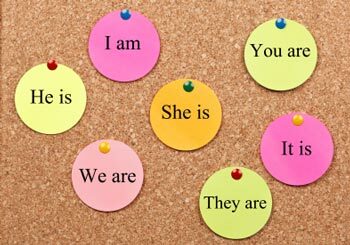 The rule is simple: singular subjects take singular verbs and plural subjects take plural verbs. But sometimes it’s difficult to tell whether a subject is singular or plural. That’s why subject and verb agreement errors crop up in so many pieces of writing. Making matters worse is the fact that most people don’t know what subject and verb agreement means. In fact, too many people don’t know a subject from a verb. When you’re fixing up your sentences and making sure they are correct, it helps to know the parts of speech, how to conjugate a verb, and how to diagram a sentence (so you can identify the subject). If you understand all those basic elements of language, then you can easily make sure your subjects and verbs agree. Are you looking for books to feed your mind ? Teach.com created this handy flowchart featuring 101 books in a variety of genres to help US students. Although for American secondary school students, it should useful for intermediate and advanced English learners. Warning!!! - if you don't read regularly, your reading skills will deteriorate - guaranteed! Here's a free online course that might suit more advanced learners, I'd say high intermediate through advanced. The course would be good reading, writing and listening practice. If the syllabus seems overwhelming, you can join just to follow and doing what you can manage. There are many students from around the world ~ more non-native than native speakers and many there to practice their English. Fantasy is a key term both in psychology and in the art and artifice of humanity. The things we make, including our stories, reflect, serve, and often shape our needs and desires. Take a look at Language Garden. 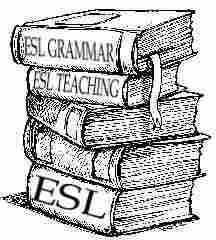 It is a very attractive site about an original and appealing approach to language learning. Try out the interactive activities designed around grammatical mind maps and collocations. You can also subscribe to free resources by email. Read more about Language Garden and here. Who in this study group has problems keeping commas and periods ~ and when to use which ~ straight? Are you studying English for business? Pay careful attention to this article from the Harvard Business Review. Grammar and correct writing do matter in business. Don't panic or give up just yet. The writer does allow that being an English is an extenuating circumstance. Good grammar makes good business sense — and not just when it comes to hiring writers. Click on the video you want to watch below. Answer the listening comprehension questions below the video. Here are the Movie clips to practice English. Let us know what you think of these listening exercises. Check out the rest of the site too.